+++++Youngest of seven children. Jeannette Rankin was the eldest; she became the first woman in the United States elected to Congress. Wellington Rankin, a brother, was a lawyer, attorney general of Montana, associate justice of the Supreme Court of Montana, United States Attorney for the district of Montana, and one of Montana’s largest cattle ranchers. +++++John W. McKinnon in 1919. The marriage lasted eleven years. +++++During her years in family planning, Rankin visited 32 states, helping to establish family planning clinics. Between 1960 and 1966, Rankin traveled in India, Africa, and the Middle East promoting family planning. After retiring in 1966, Rankin took one more tour, traveling to Indonesia, Nigeria, and Ethiopia doing her family planning organizing and advocacy. +++++Mrs. Robert Stracke, Douglas Avenue, Flossmoor, is opening her home for a meeting on Friday which will feature Mrs. Edna Rankin McKinnon. 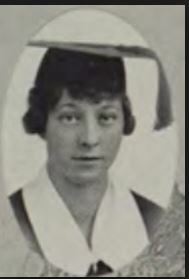 . .
+++++“Edna Rankin McKinnon really had few ambitions: she was a delicately pretty and somewhat frivolous young girl, who felt that with her marriage to a wealthy young Harvard man she had found her place in life. +++++Yet she became internationally known 45 years ago, as the pioneer in a subject almost never mentioned by ladies in those days: birth control. +++++She was accused of being an early day feminist, although that was the label more appropriately applied to her sister, Congressman Jeannette Rankin. +++++Mrs. McKinnon at age 80 still displays the enthusiasm and sincerity that marked her career. +++++‘It was nothing I planned to do,’ she said in an interview. ‘My brother, Wellington, had practically ordered me to take a degree in law after I left Wellesley and the University of Wisconsin. +++++‘Firsts’ had been racked up by that time by her sister Jeannette as well. In Congress, she had introduced the first bill to grant women citizenship independent of their husbands, and the first bill recommending subsidy for health care and for teaching women hygiene during pregnancy and early maternity. +++++It was her sister who helped Edna find a job with the Resettlement Administration in Washington at a time when it became necessary to support herself and her daughter. Soon after that, she attended a public lecture on birth control. +++++‘I was electrified,’ she said. ‘My questions tumbled out faster than the speaker could answer them. I had never before heard the subject discussed. +++++She was employed by Margaret Sanger, a true pioneer in the field, who went to prison eight times for attempting to open birth control clinics. Later she was employed by Dr. Clarence Gamble who organized the Maternal Health Association and the Pathfinder Fund which supported family planning in this country and abroad. +++++She worked for Pathfinder for 32 years, seven of them in foreign countries. The work now is supported by a grant from the U.S. Agency for International Development (AID), but Mrs. McKinnon retired eight years ago, at the age of 72. +++++‘Such tremendous changes had taken place in the status of women between my first visits to foreign countries, and my last, when I went around the world for the International Planned Parenthood Association,’ she said. +++++It was in Saudi Arabia that she fell down airport stairs, dropping luggage and packages, and while the men turned to stare, not one man offered to help. . . .